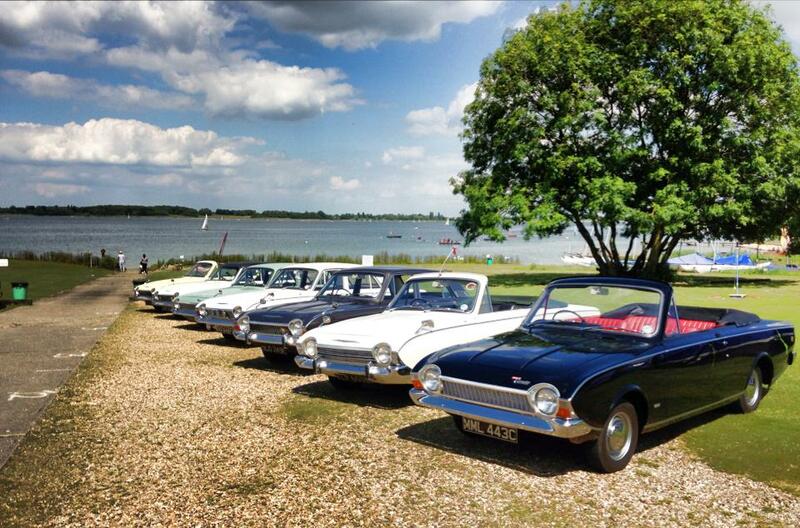 The Ford Corsair Owners Club was formed in January 1985 and membership now exceeds 200. The Club exists to promote the preservation of Corsairs, to supply advice and to put Corsair owner enthusiasts in touch with each other. A newsletter is published quarterly with details of Club activities, future events, spares and cars for sale. Letters and technical articles by Club Members are welcomed for inclusion in the newsletter. Club meetings are held throughout the year so keep checking out for meetings near you. On joining members are provided with a list of all other members, enabling them to get in touch with enthusiasts in their area. We are fortunate to have as our President Mr Charles Thompson, who designed the Corsair. Our Membership fee is £22.00 a year, renewable 1st of August and £27.00 to overseas and Southern Ireland members. If any of the above interests you please feel free to join our friendly club. If you would like to join please click here fill the form in & click "Submit" Once completed please send a cheque or alternatively you can pay through PayPal by the Email link below. If you pay with Paypal please send the payment as a 'Gift' so we don't get a charged a fee for recieving the membership, and also send a message with your details and your cars details (For Our Register) with the payment so we know who it's from. If payiny by cheque please make it payable to either "FCOC" or "Ford Corsair Owners Club"